Evo33 is a Los Angeles based creative agency specializing in web design, internet marketing, branding and print design. Our passion is crafting powerful and captivating solutions for companies interested in improving their brand image and consumer experience. Our agency is comprised of a global pool of talented digital specialists, which allows us to offer first-rate expert service to our clients. We walk our clients through every step of the process and insure their project is completed at the highest quality possible, while on time and within budget. Our clients range from small businesses to national corporations. Simply put, we are a small agency with BIG TALENT. 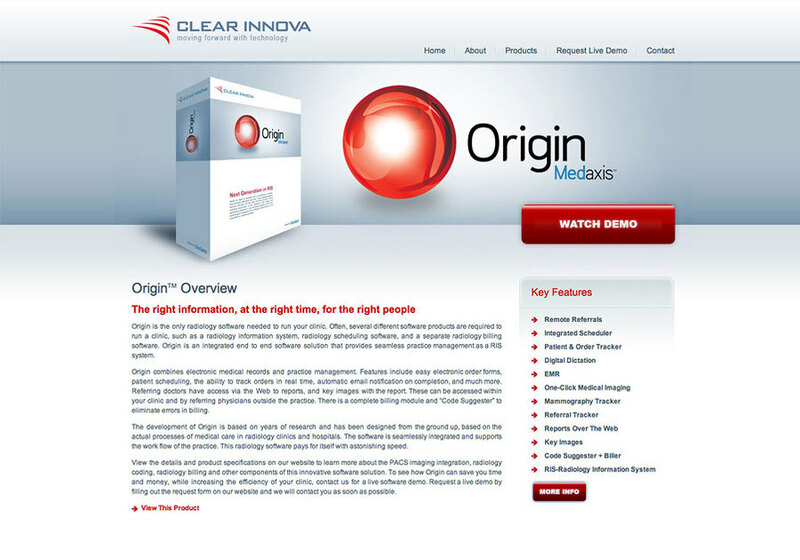 This is a recent website we designed for Clearinnova. Evo33 is a Los Angeles based creative agency specializing in web design, internet marketing, branding and print design.